The third Friday in January, known as ‘Fail Friday’ or ‘Quitter’s day’, is the day by which most New Year’s resolutions have been thrown out the window! The thing about healthy eating regimes or exercise goals is that you actually have to keep at them every day and people lose motivation quickly. By contrast, it’s ridiculously easy to keep to money new year’s resolutions! This is mainly because so many ways to improve your financial position only need you to make a decision and then act on it one time. Once you have taken this small step, it is either done for good or from that one action, it becomes part of your lifestyle. 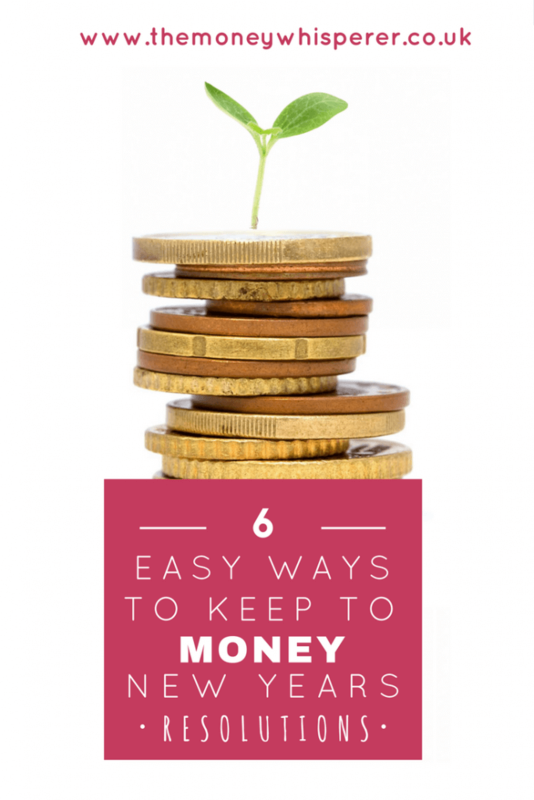 Here I highlight 6 easy ways to keep to your money goals. Firstly, everyone likes a good tidy up at the start of the year. Get your financial paperwork in order: review it, check it and change it if needed. If you keep missing payments, set up direct debits so that you never miss an important payment. Make sure you have the correct beneficiaries listed on assets such as your pension account, life assurance policy etc. Review your will, especially if you have had a change in circumstances. Become financially educated about yourself! Reviewing your credit score and credit report are two things you should do at least once a year so commit to doing this at the start of each year. Spend half an hour reviewing your direct debits and subscriptions/memberships. Do you only ever watch subscription services like Netflix, Amazon or Now TV to watch on demand or catch up programmes? If so, you don’t need a TV licence (except if you’re watching BBC programmes on iPlayer) – cancel it and save yourself your annual subscription this year. Think about your gadgets and appliances. Are you paying insurance for something that you don’t need anymore? Did you sign up for a free 3 month trial for a product or service which you no longer use but are still paying the subscription for? Have a gym membership which you don’t get enough value out of? Cancel your monthly membership and opt for a pay as you go alternative. Cancel any you don’t need! I’ve use the free app Bean to see what subscriptions I have and what renewals are coming up. It’s great for picking up free trials that you never cancelled and forgotten direct debits such as magazine subscriptions to your old home! I also like that they will contact the company directly for you to cancel a subscription rather than you just cancelling the direct debit. Decide how much you want to save monthly and set up a standing order from your current account to a savings account ON PAY DAY. This is the most effective way to make sure you save – by paying yourself first, before any of your other outgoings. Also, if you pay yourself on the first day of the month rather than transferring any spare funds at the end of the month, you benefit from a full month’s extra interest which is an added bonus too. I’ve talked about skimming your bank account to save money. Chip is a great app which will automate this for you; it will work out what you can afford to save whilst you still retain control over the money actually being transferred to savings. Plum is another great tool which runs through Facebook Messenger. 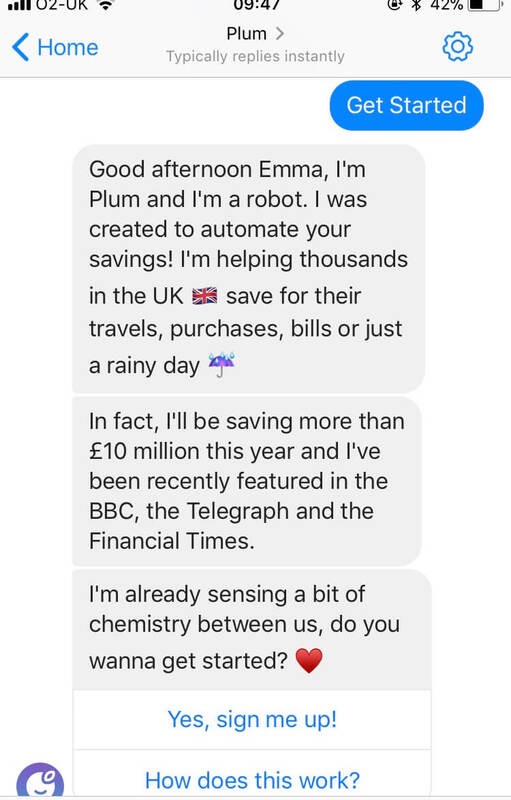 You can save and withdraw your money simply by telling the bot on messenger what you would like to do. It also gives you regular updates about your spending and bank balance. We’ve had years of historically rock-bottom interest rates and with the 0.25% interest rate rise in 2017, it makes sense to be prepared for further increases. If you can afford to, never just pay the minimum payment on your credit card – pay off as much as you can afford each month to reduce the amount on which interest is being charged. Check out Habito, the online mortgage broker, to see if you could benefit from a better mortgage deal, especially if you are currently on your mortgage provider’s standard variable rate, or coming to the end of your current fixed deal. If you swap to a lower rate, use the extra money saved each month to overpay your mortgage; you potentially save yourself thousands of pounds in interest and reduce your mortgage term significantly at the same time. Shop around for the best rates for your savings. Many offer substantial new customer bonuses if you move over your current account and a couple of direct debits. 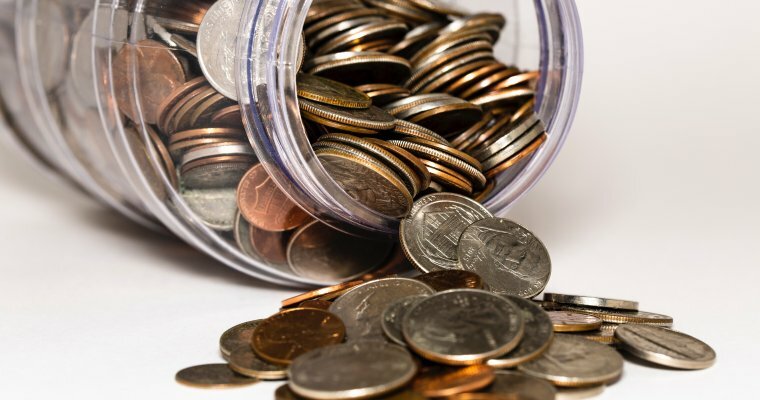 The challenger banks are offering good rates at the moment as they try to entice new deposits away from the high street banks; these are worth a look at. All you need is a current statement and your historic usage/premium or deal. With uSwitch, the app will work by scanning the QR code on your latest bill for your data and using this to calculate whether there is a better deal for you. This process may take a couple of hours but once you have done it, you don’t have to do it for another year or so – it is time well spent. With utilities especially, you can expect to save hundreds of pounds a year for a little investment of your time. Boosting your pension savings is one thing which you can set off on the right track and forget about. Literally for years! If you are not yet enrolled in your company’s pension scheme, don’t miss out on free money – sign up! The government tops up any contribution you make, plus your employer will also make contributions. 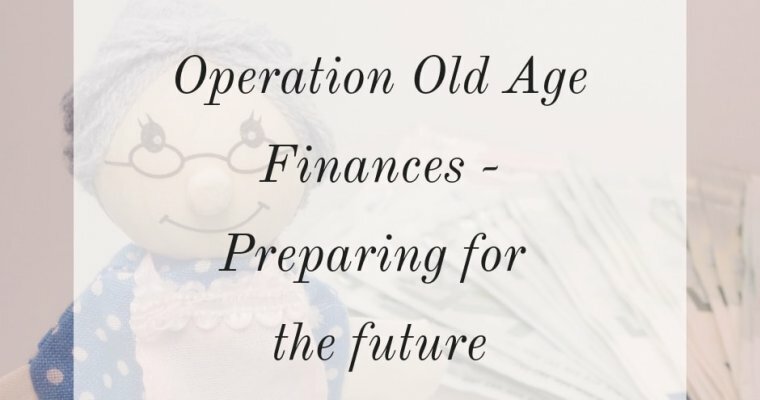 Check out the pension tracing service if you think you may have lost track of any old pensions. Find out how here. If you have lots of pensions because you have a number of previous employers, take a look at PensionBee. By combining your pensions in to one place with the help of PensionBee, the handy app then allows you to see your current pot size, your projected retirement income, and set up regular or one-off contributions. I’m happy to report that my new habit of meal planning more effectively is still going strong which I am pretty chuffed with! But if you are struggling with your new year’s resolutions – take my advice that it is easy to stick to money resolutions by trying out the above. 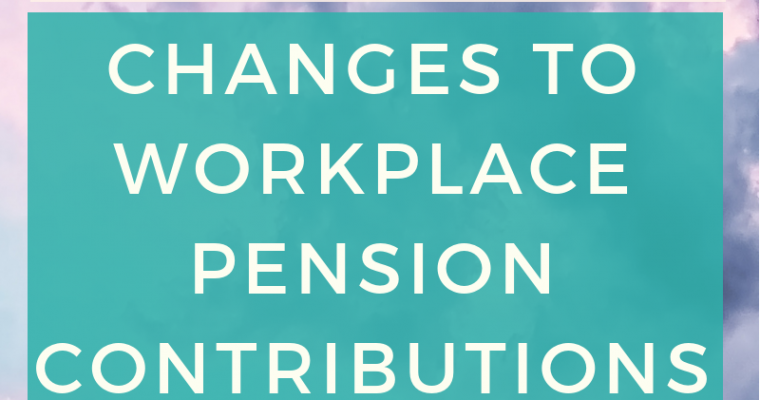 Changes to workplace pension contributions: how do they affect me? 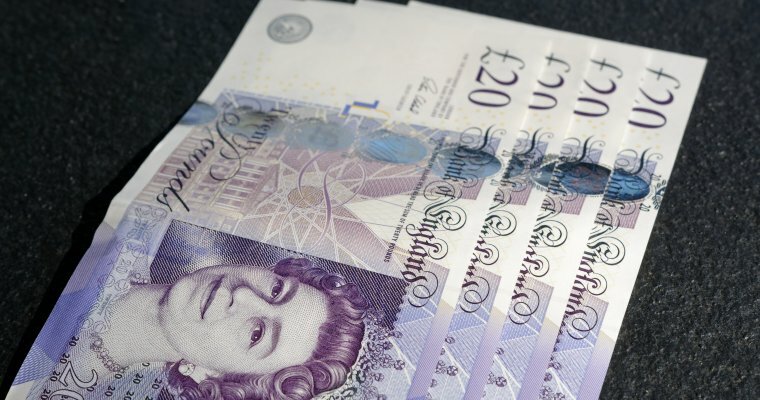 How Much Should I Be Saving In To My Pension? Such a comprehensive list, great advice!